Diane Jager is a successful surgeon – but her words can cut as deep as her scalpel, as many found when she wrote an anonymous blog about sexism in the NHS. With her anonymity outed rather dramatically, she has been living with the moniker ‘Bitchblade’ but now she is in real trouble. After a whirlwind affair, her husband of a few months is missing, presumed dead and everything is indicating that it is at Diana’s hand. 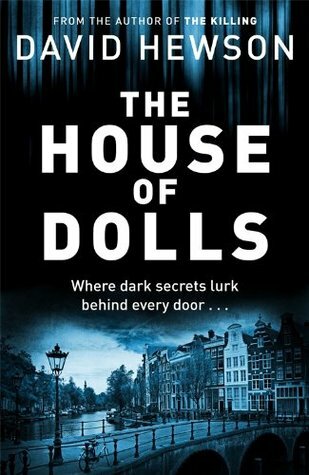 When her sister-in-law brings in Jack Parlabane to investigate, the nails can be heard firmly being hammered into her coffin – but is she really a murderer? Whenever people ask me my favourite authors, Christopher Brookmyre is at the top of my list, and Jack Parlabane is definitely one of THE best crime novel characters. Although we’re seeing him at his most vulnerable in this book – disgraced, out of work and newly divorced to his beloved Sarah. Parlabane is actually a secondary narrator to Diana in the story – her past narrative interspersed with his present investigations until close to the end, really twisting your perceptions of the truth one way and then another, leaving you guessing. Tightly written, it is exciting, full of action, believable characters and a fantastic movie-esque plot. Thank you Mr Brookmyre for never letting me down. I felt smug every time there was a hat tip to a previous book that I recognised. Like your reviews so much because they are short & still tell me enough about the book/event so I have a really idea of what’s on offer? How’s your own (fictional) writing going? Use all that talent! Coming from Glasgow and Brookmyr e from paisley I have been an avid reader and fan of his for many years. I’ve read all his books most are excellent some stick out amongst the crowd eg boiling a frog and quite ugly one morning. I can’t wait to read this latest one ….. This was first book on Scottish Book Trust list of books to look forward to in 2016. There’s plenty on list to look forward to but none more than this – the biased Scot in me would always back up a fellow Glaswegian but in Christopher Brookmyres case I’d still look forward to his books even if he came from the moon!